A couple of days ago we reported that iOS 6.1 has a bug whereby, the iPhone is not capable of using a 3G network, making Web browsing is very slow. The self Vodafone UK sent a message to their customers to recommend that 6.1 be updated to iOS but for many of us, that it is too late. This bug also directly affects the performance of the battery terminal. 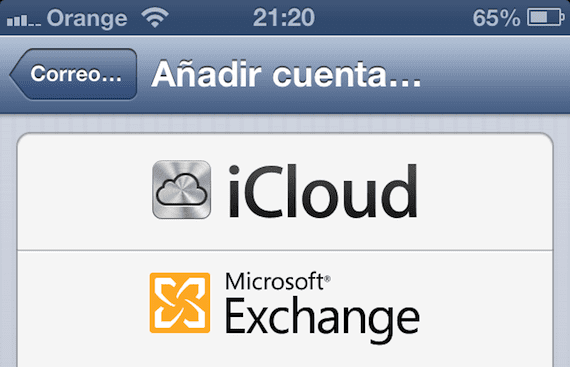 Furthermore, using the Microsoft Exchange, the problem of autonomy under iOS 6.1 could worsen. The U.S. company AOL has forced its disabling this service employees synchronization because as has been seen, the terminal enters an infinite loop synchronization contributes to excessive loading data and therefore a warming iPhone and increased battery consumption. Do not respond to invitations from the device until the update of iOS have fixed the bug. Are you having problems with iOS 6.1 battery despite not using Exchange accounts? Article Evil battery performance in iOS 6.1 could be due to a bug related to Exchange was originally published in News iPhone .